Sometimes kids feel unsafe… you’re not a bad parent. I was completely caught off guard when my children’s anxiety began. I had no idea kids could feel so much angst, stress, and fear at such a young age, especially coming from a safe environment and home. But, we had just moved from Idaho to Utah. From country to city. From what they knew to a completely different environment. Suddenly, I couldn’t shut the door when I put my kids to sleep, which was completely opposite of what we did in Idaho. Back in Idaho when we transitioned Reagan into her “big girl bed” (aka out of her crib), we switched the door handle around, so we could lock her in her room. Yep, no lie. And if you ask 10 parents, I bet 8 out of 10 of them have done the same thing! HAHA!! We were teaching her, or trying to teach her, to stay in her bed at night. After prayers, a book, a song, tucking in, and a huge routine, she didn’t care that we shut the door. There was never any kind of intense crying or screaming out of terror because she was in a room alone with the door closed. So, imagine their surprise when we moved and took our kids from their safe place and put them in a room together. (Baylor was 2, and he moved from a crib in Idaho to the bottom of the bunkbed with Reagan in Utah.) We had completely blindsided them with an entirely new life. Side note…Baylor and Reagan’s new room was right next to ours in our rental house when we moved to Utah, but that didn’t matter. Honestly, if I had known the move was going to cause them that much anxiety, I probably wouldn’t have moved, but everything happens for a reason, right? Never fear. 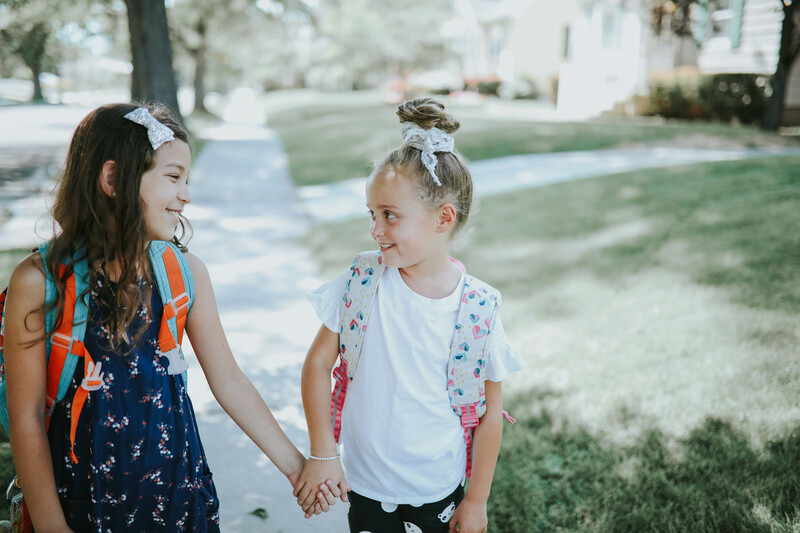 This story has a happy ending, but if I’m being honest, I didn’t think it would be so hard for me to write about my children’s struggle with anxiety. I can still feel the guilt as my fingers graze the keyboard. And maybe subconsciously this was my drive to find my own journey because what makes this story even worse was I was battling my own demons as well. This all happened during the same time my blogging career started to take off, and I wasn’t eating, I was abusing prescription meds, and I was dealing with body dysmorphia. I was in my own anxiety hell, if you will. As the days went on, I noticed little things that would trigger them. I started to change a few things, and that helped subside the anxiety for a bit.We even bought a king-sized bed so they could sleep with us. I just wanted them to feel safe. But nothing I did really ever helped them, or at least taught them how to cope. If anything, I was coddling them. Protecting them. Not giving them the coping skills or options they needed when the fear crept in. I was pretty convinced that Jeff and I were never going to be able to leave them at the same time. Then I found yoga, meditation, and hypnotherapy, and during that time, something shifted, not just within me, but within my kids. I didn’t see them as broken anymore. I didn’t see their anxiety as a burden. Instead of yelling, I knelt down to them, and I asked them to tell me their pain, to explain to me how they felt. I read books and listened to podcasts. Jeff and I wanted to open the wound, air it out, and allow it to heal, instead of just wrapping more and more bandages around it. They just needed what I did. They needed to know they weren’t broken. They needed to know they could heal themselves. They needed to learn how to affirm themselves. They needed to know they were enough. They needed to know they were safe. They needed to know how to breathe. I start with affirmations. First at nighttime. Then, we would recite them as they ran out the door for school. That’s when the breathing came in. I knelt down and just started to breathe with him. 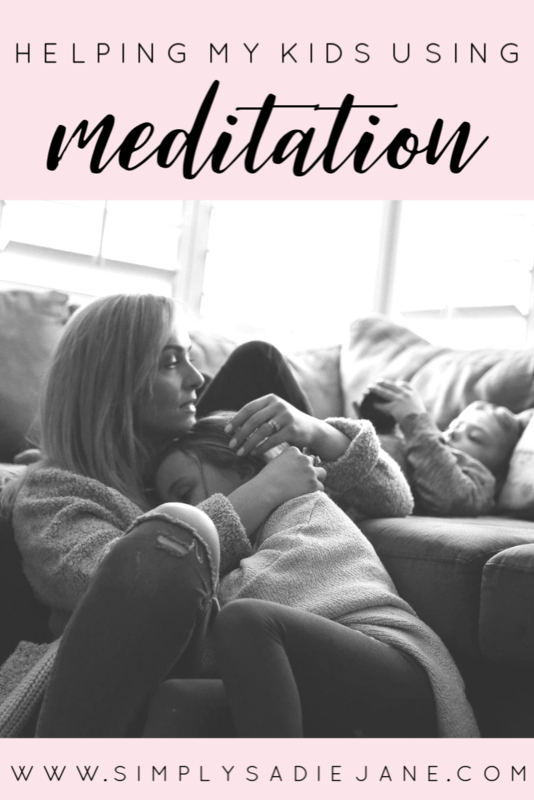 One day–I will never forget it–Baylor, my busy child, watched me sitting in stillness while meditating, and he sat next to me in stillness. He placed his thumb and pointer finger together and closed his eyes and sat. Okay, only for 30 seconds, but if you knew my Baylor, you would know, that was a huge feat! Tears rolled down my cheeks as I listened to his inhales and exhales. This work is important, but it’s not just important for our children: it is CRUCIAL. Reagan is now 8, and Baylor is now 6.They still have their struggles. Reagan has anxiety attacks. She has irrational thoughts because a neighbor kid told her that people die at night or because she watched COCO, and now she thinks we will all get poisoned with our food. Don’t you remember as a child having irrational thoughts? 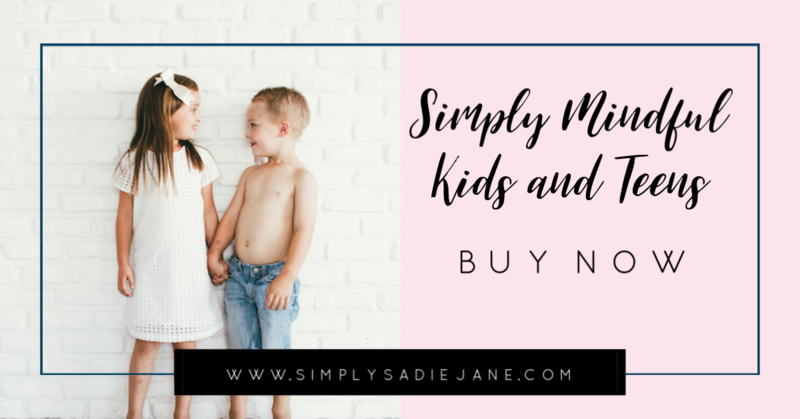 Now imagine having them with deep, gut-wrenching anxiety…it can be completely debilitating for your child…but not anymore! They have tools. THESE meditations and breathing exercises are the tools!! Feel free to share and pin!